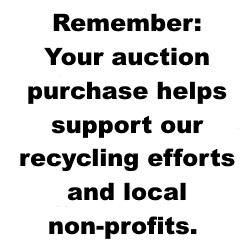 If you have eWaste taking up your real estate, call us, we want to get it out of your way. If you generate large quantities of eWaste on a regular basis, Inquire about partnership opportunities. Our extensive expertise in eWaste management allows us the opportunity to teach other organizations how to leverage their material stream to further their own mission. With proper management eWaste can be turned into revenue channeled for community benefit.